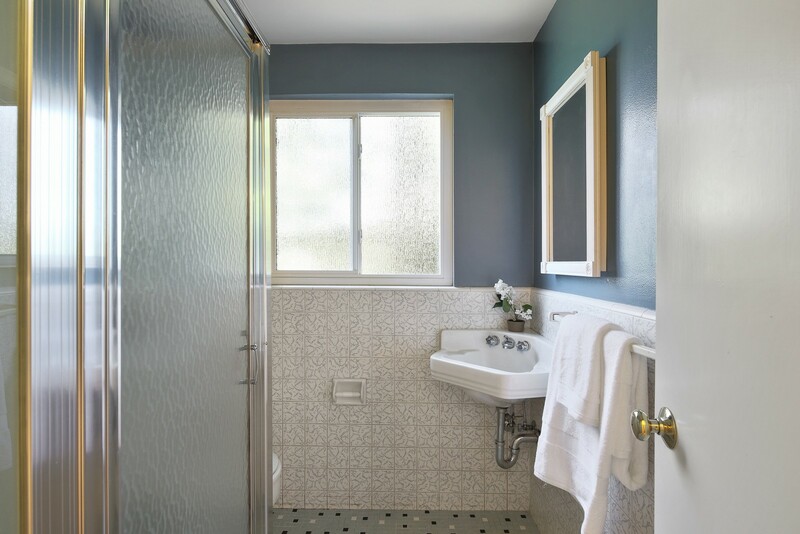 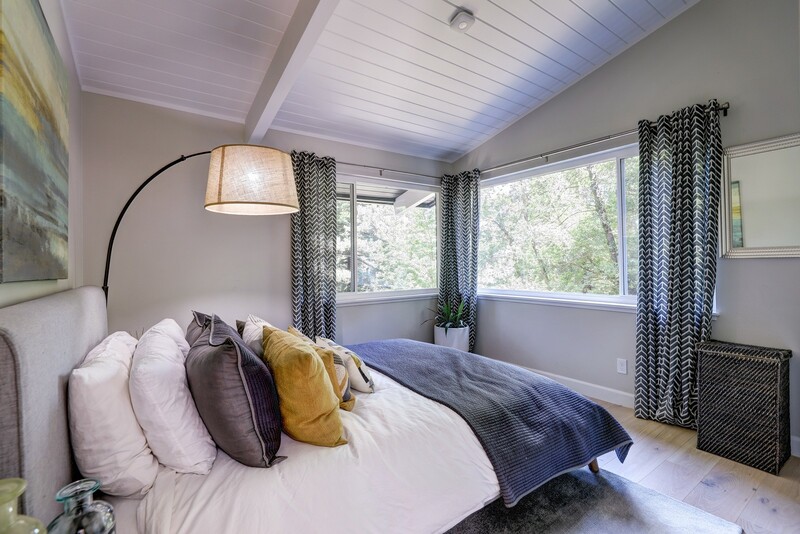 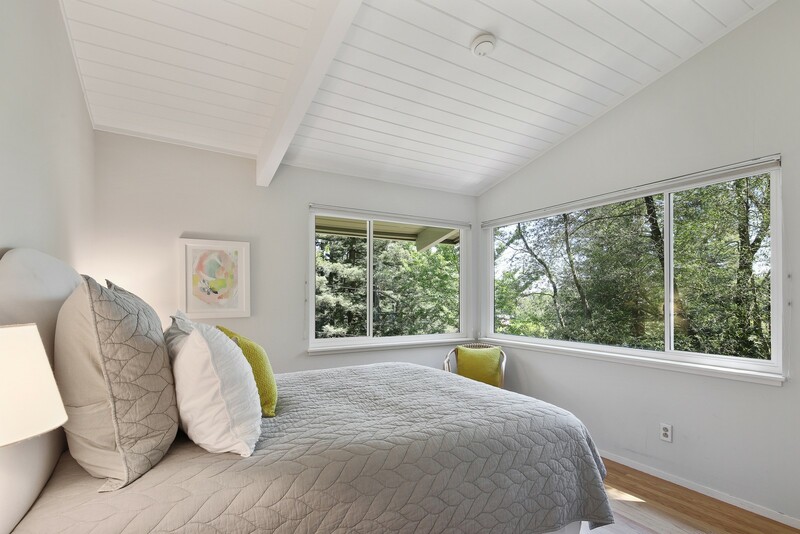 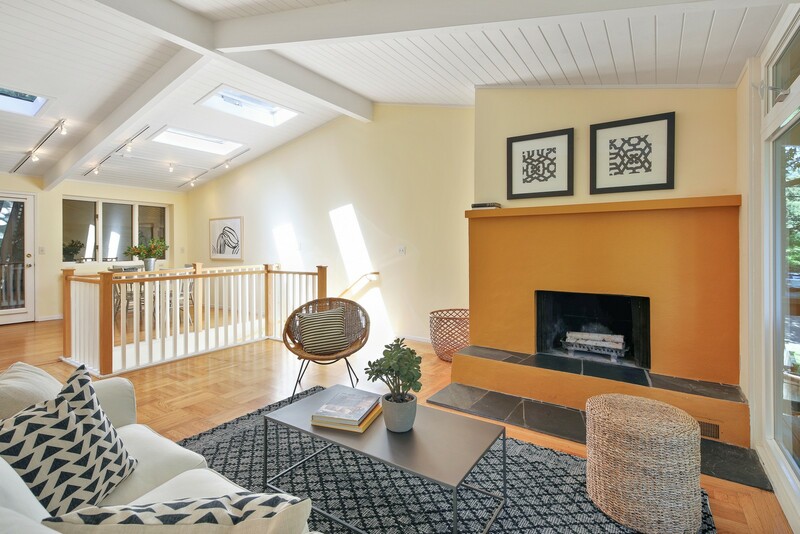 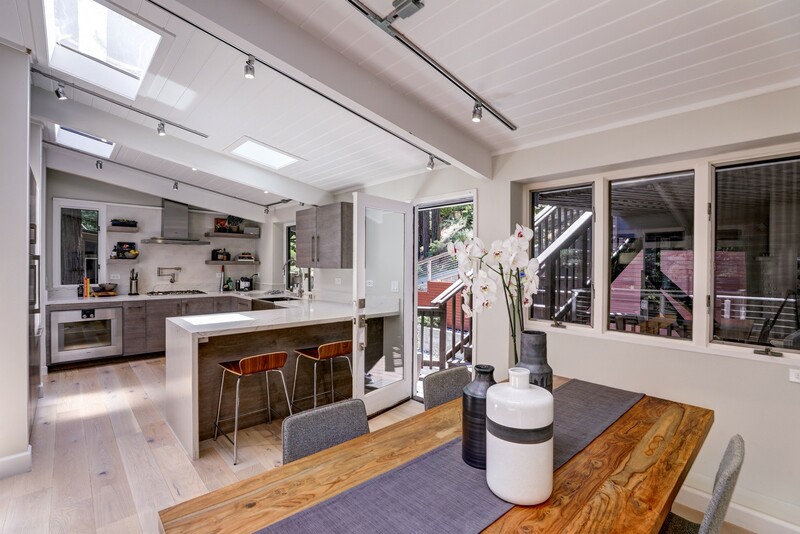 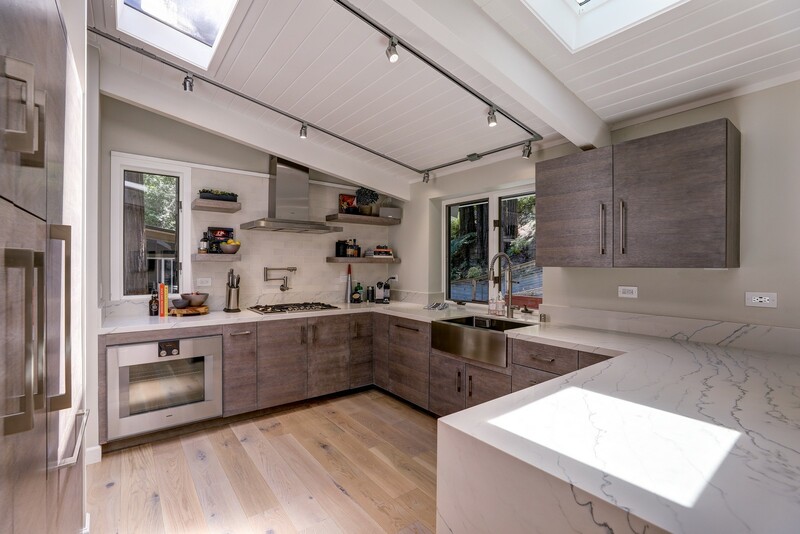 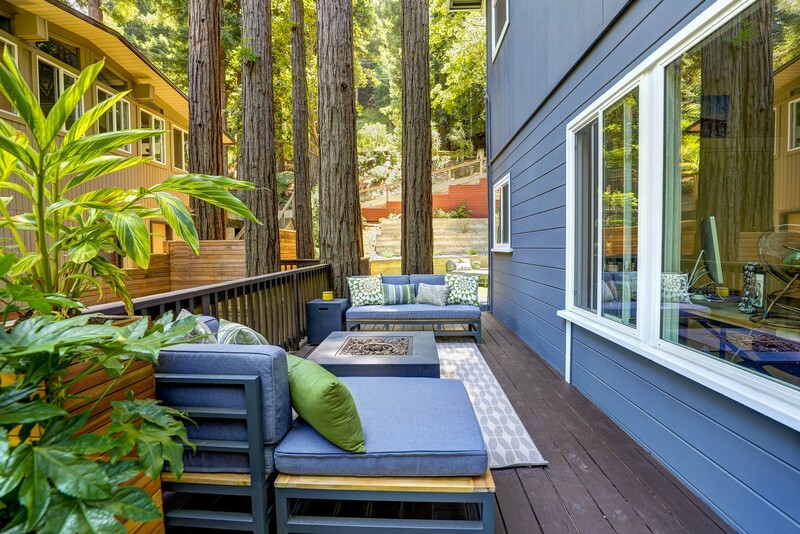 After a recent purchase, these creative and design oriented owners embarked on completely re-imagining this retreat-like setting home in Larkspur, California. 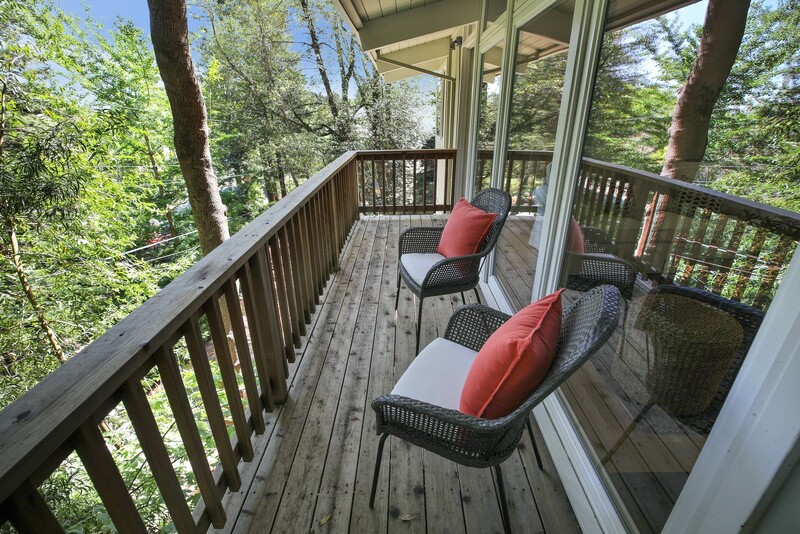 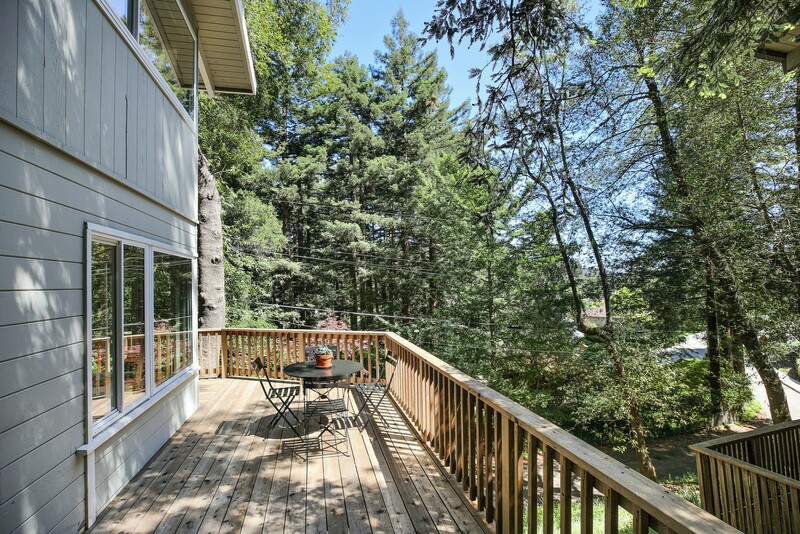 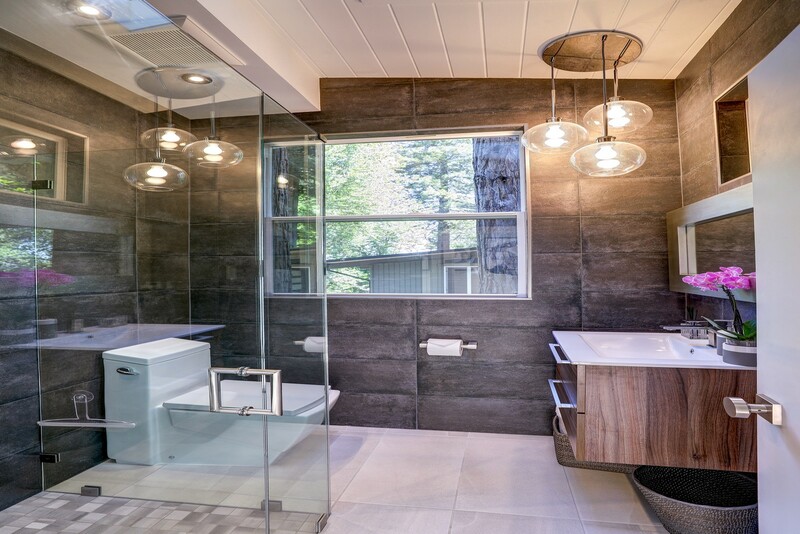 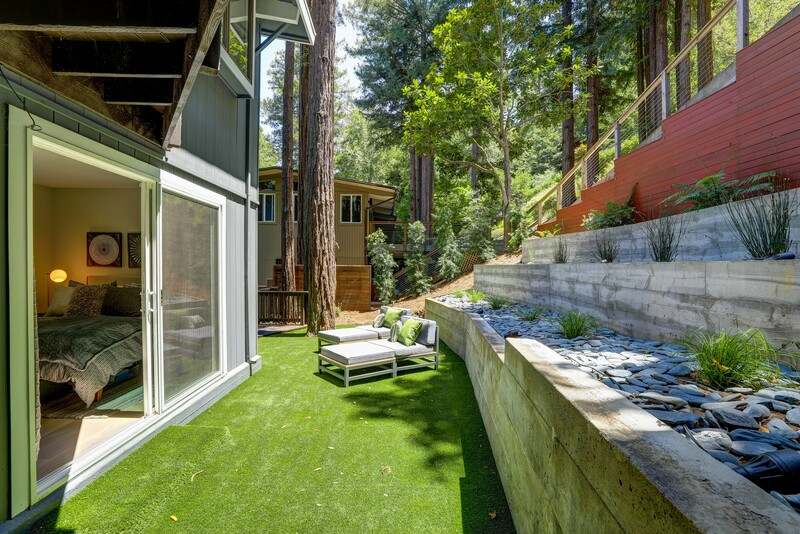 No surface left untouched on this extensively remodeled modern retreat! 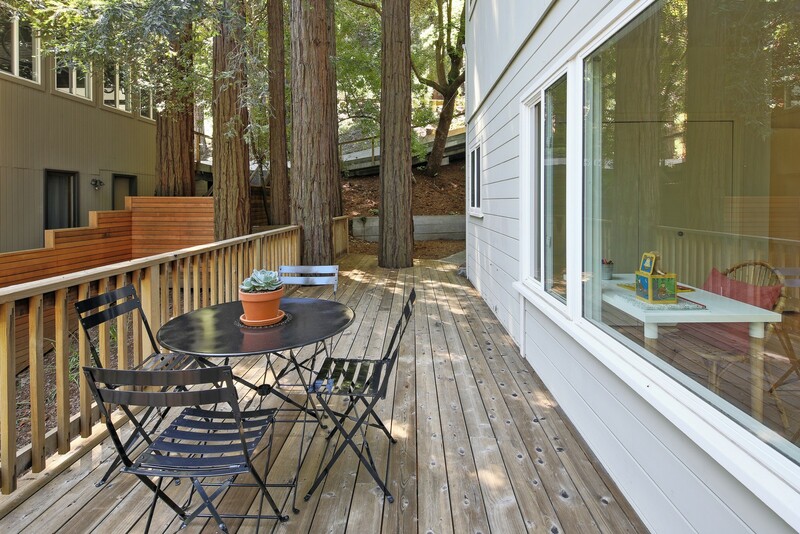 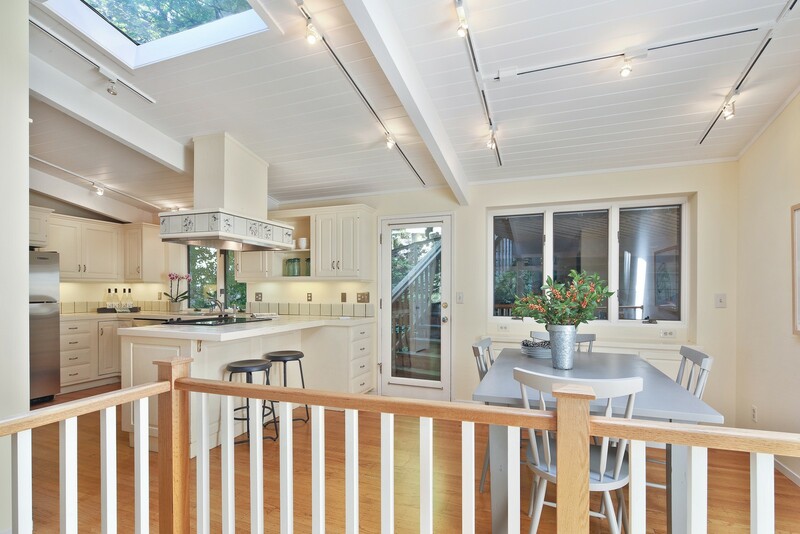 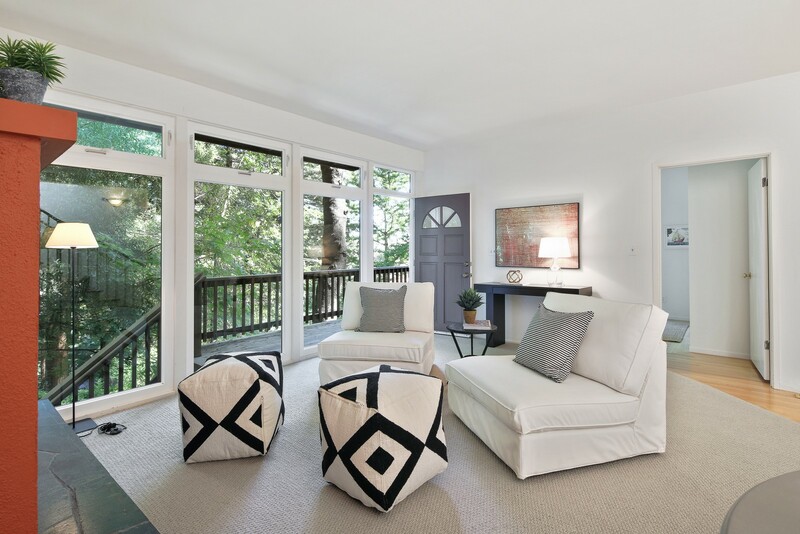 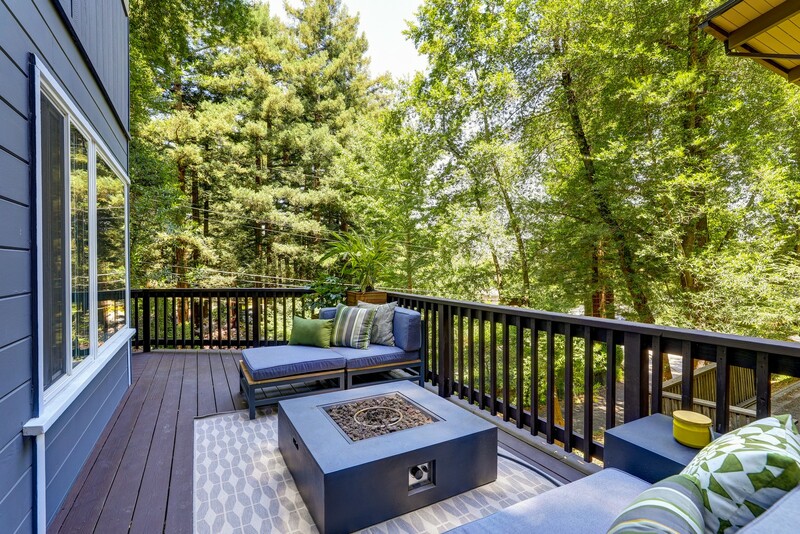 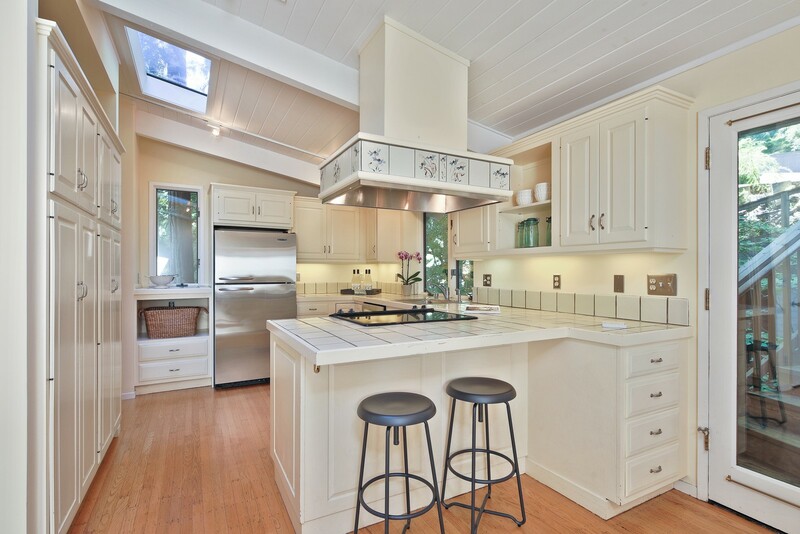 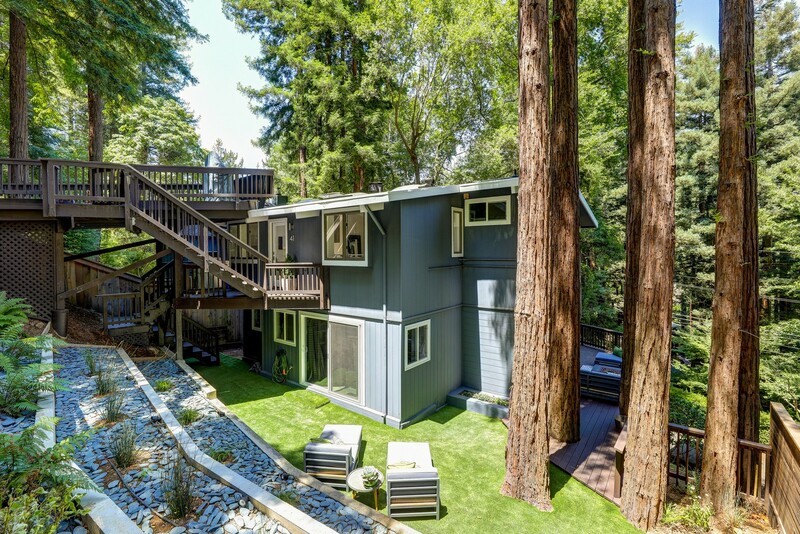 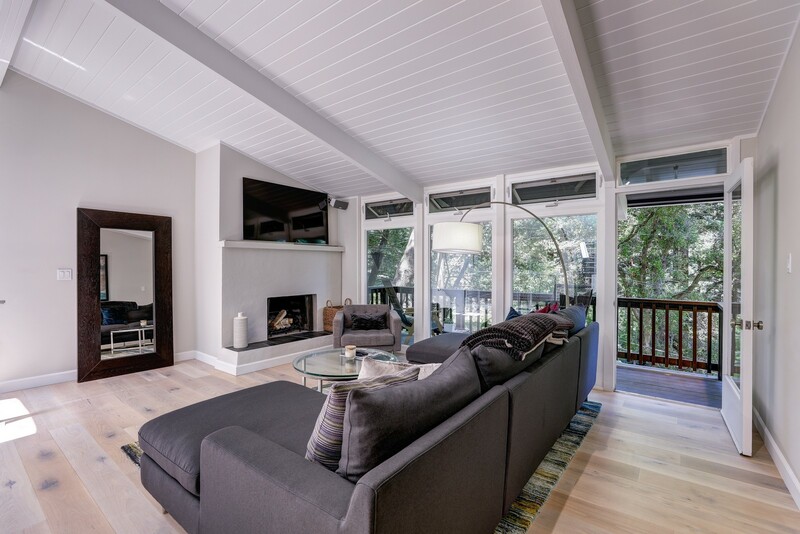 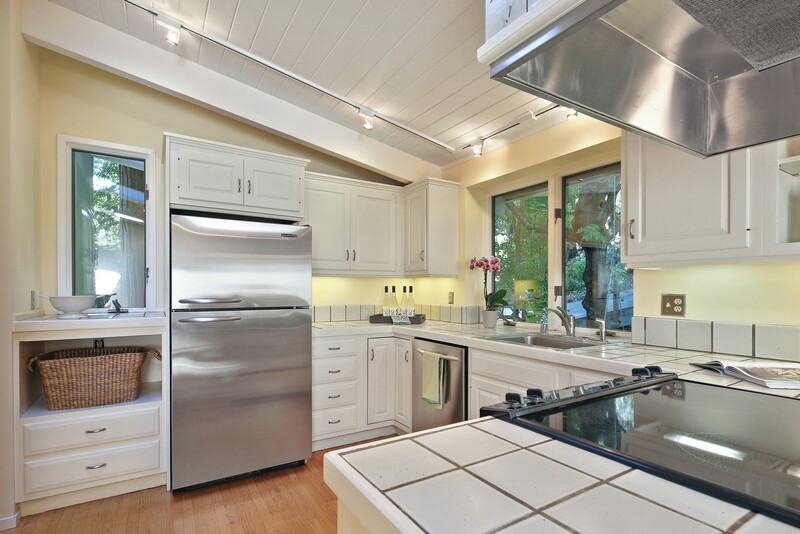 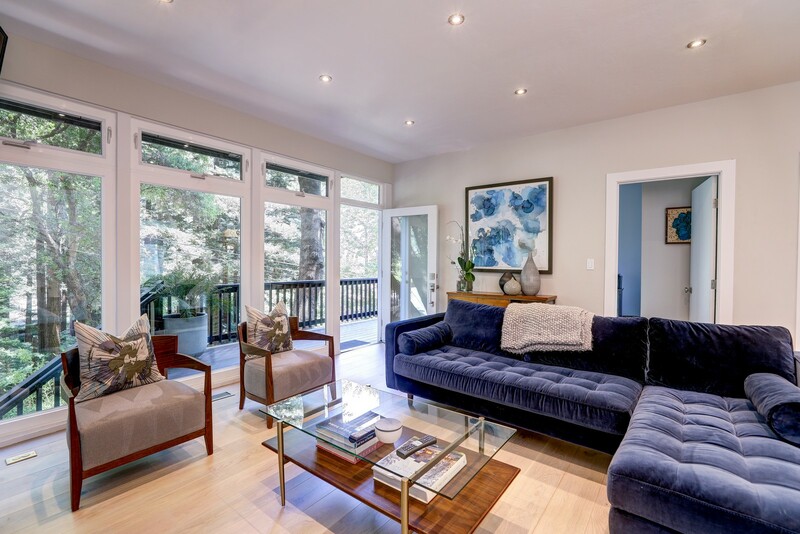 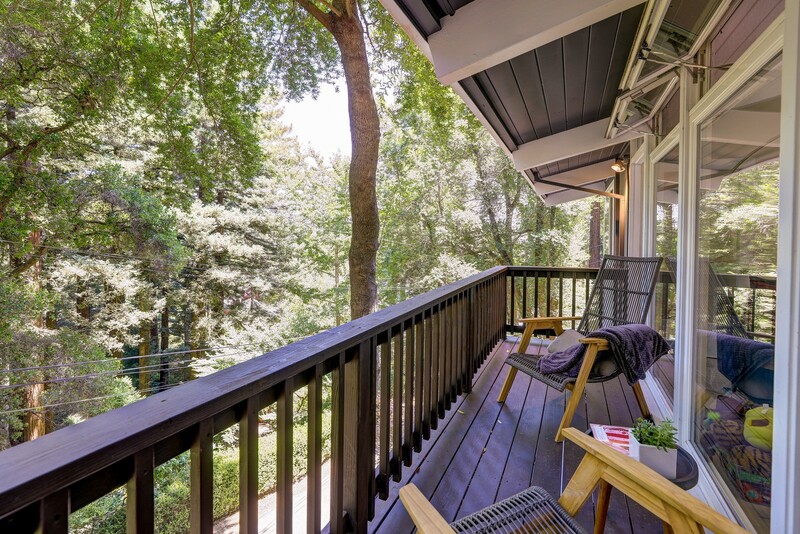 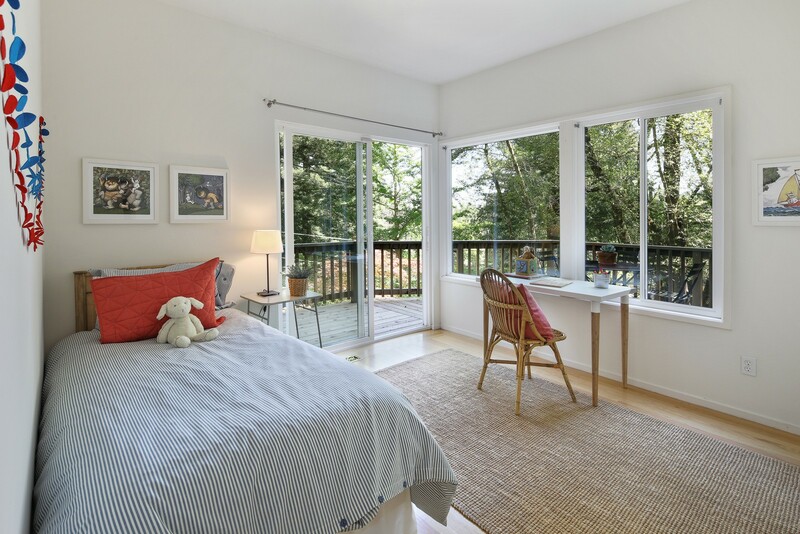 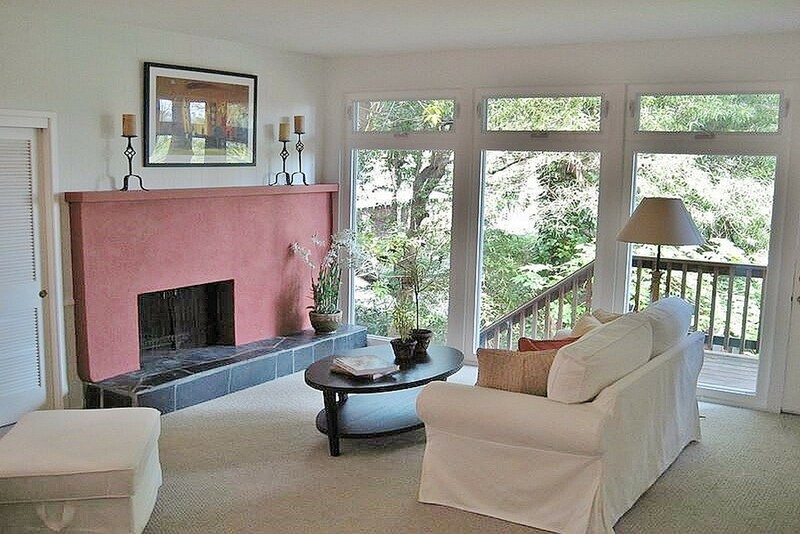 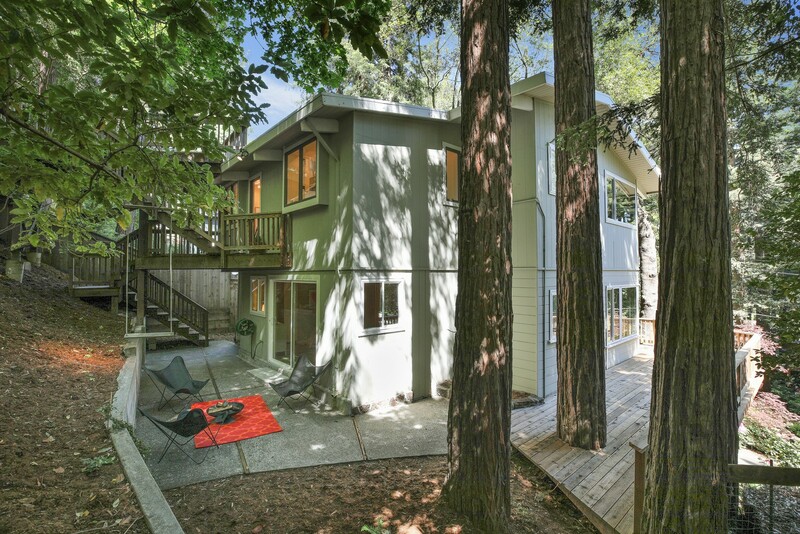 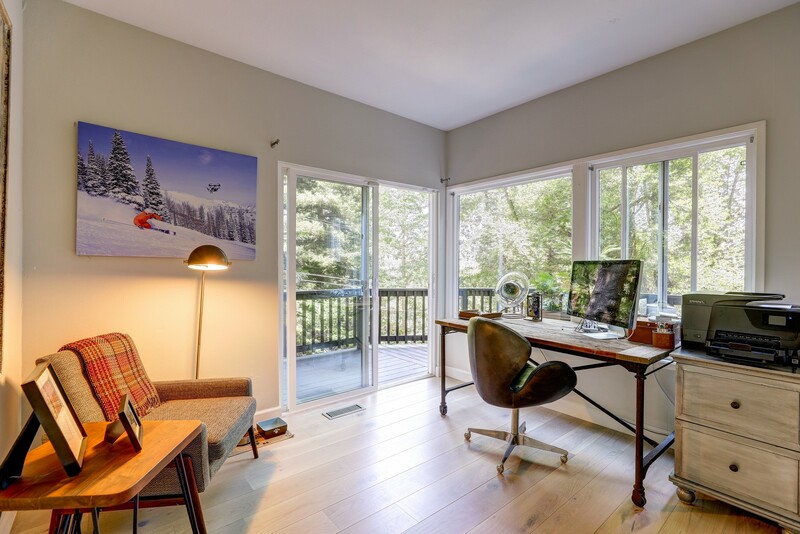 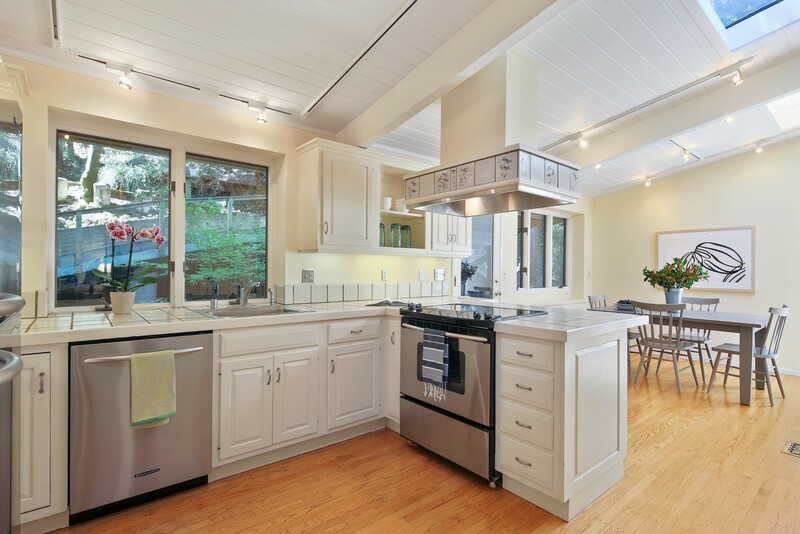 Nestled in a grove of majestic Redwoods off Piedmont Road, this thoughtfully reimagined three bedroom, two bath home is ideal for entertaining with two comfortable living areas, built in bar/beverage center in living room, and expansive outdoor decks and garden with views into the canopy. 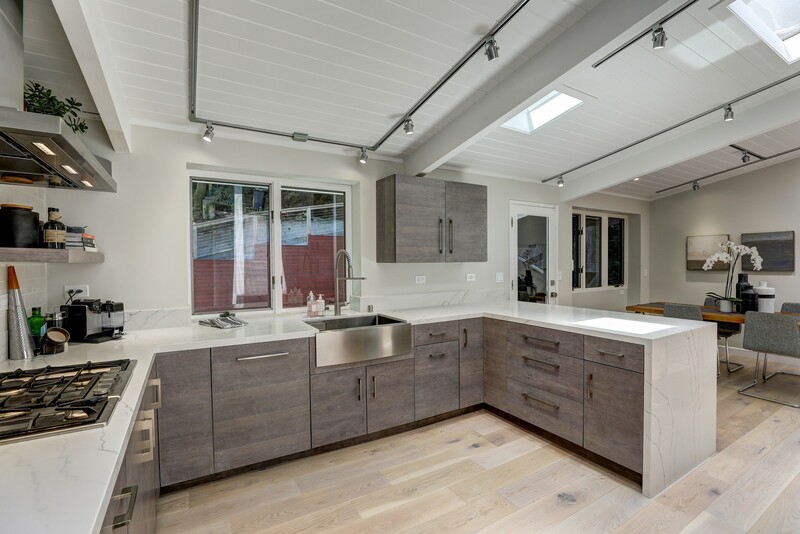 The spacious and efficient chef’s kitchen is the star of the home with top-of-the-line Gaggenau appliances, Vadara quartz countertops, Omega cabinets, Fireclay artisan tile, stainless steel apron front sink and Moen restaurant style pre-rinse faucet. 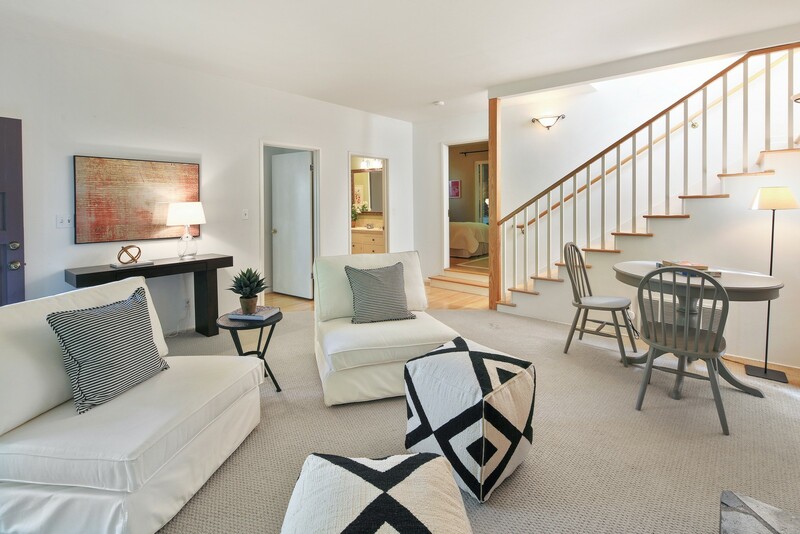 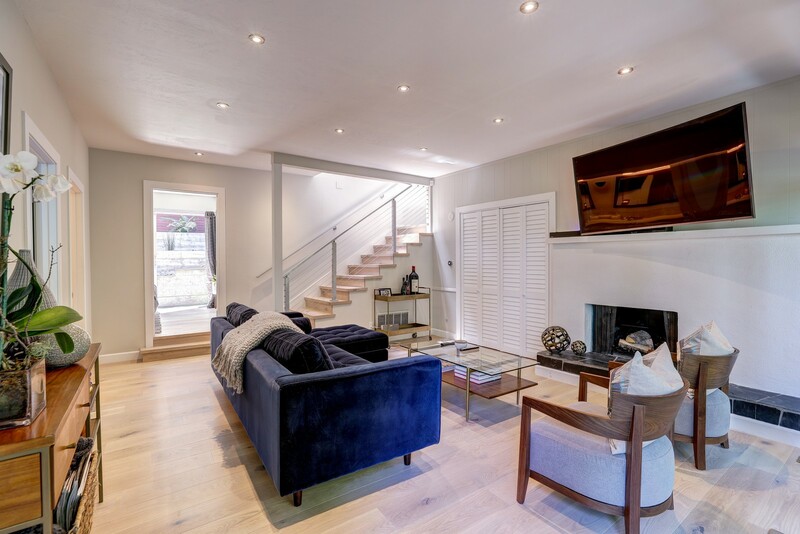 Gorgeous wide plank hardwood flooring runs throughout this freshly painted contemporary enclave. 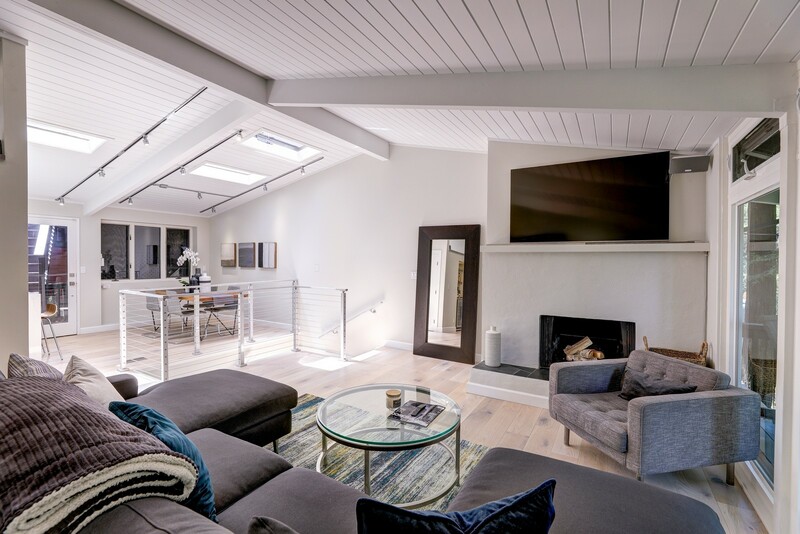 Located within a short walk to the historic Larkspur downtown offering amazing restaurants in Picco, Posie, and Perry’s plus Equator Coffee, Rulli’s Italian Café, Larkspur movie theater, and luxury shopping. 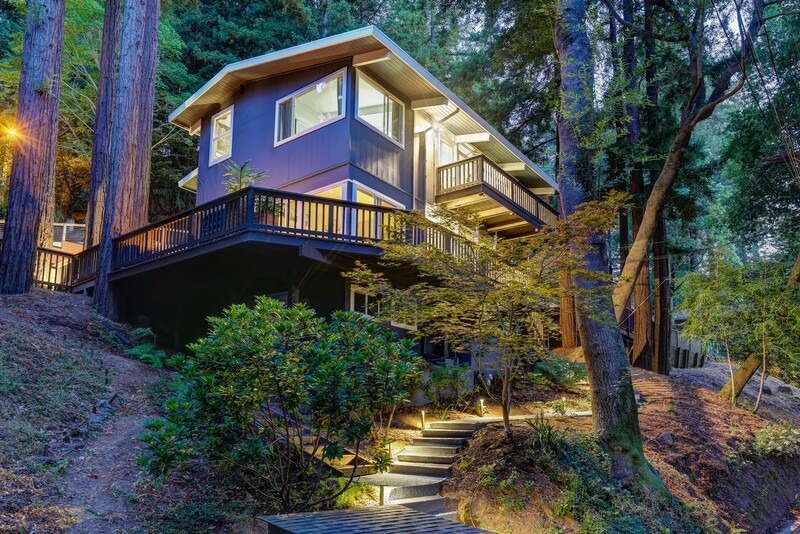 The neighborhood boasts of incredible hiking and mountain biking trails right around the corner creating an outdoor enthusiast’s base camp for cycling, running, paddle boarding, tennis and so much more in Marin and beyond. 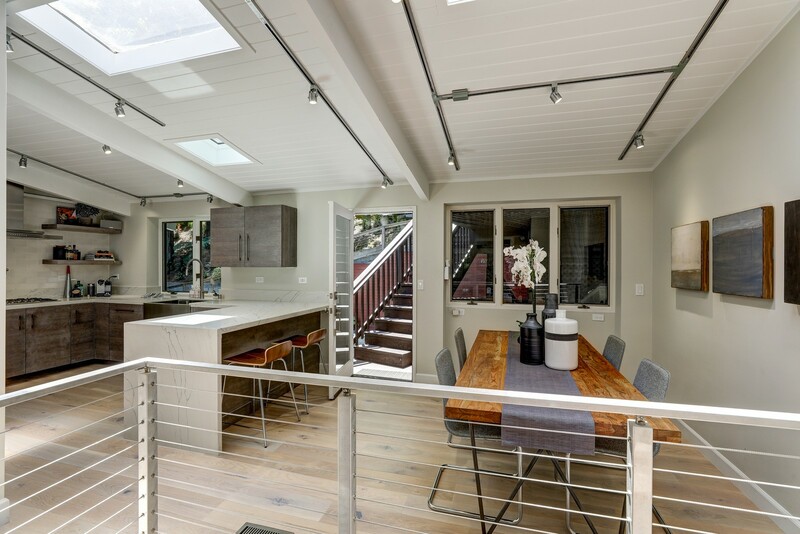 There are frequent local community events like the Larkspur Wine Stroll and the neighborhood Oktoberfest block party that simply are not to be missed! 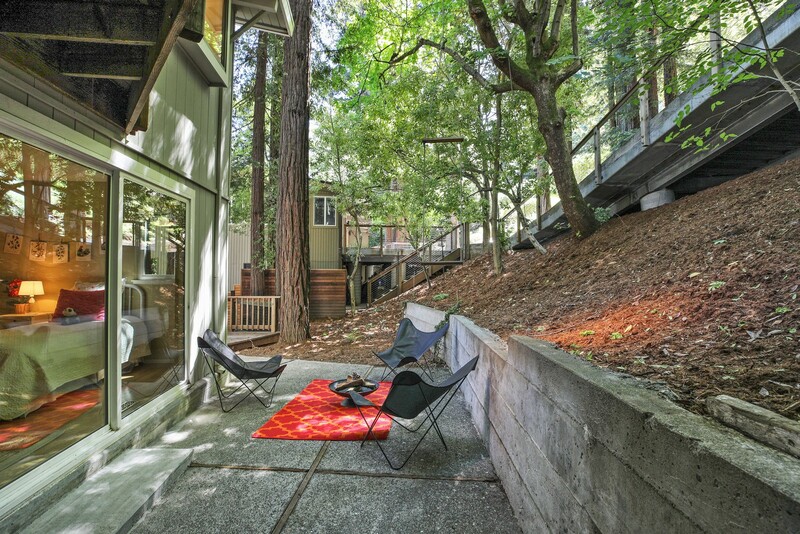 Super easy commute with bus and ferry services only minutes away plus a perfect distance to commute to Napa and Tahoe on weekends without getting caught in the “escape from the city weekend traffic”.